Mel Colm-Cille Gerard Gibson (born January 3, 1956) is an American-Australian actor, film director, producer and screenwriter. He was born in Peekskill, New York, moved with his parents to Sydney, Australia, when he was 12 years old, and later studied acting at the Australian National Institute of Dramatic Art. Daniel Wymbs: Mel Gibson I hate. Ferdia McAnna (writer): Mel Gibson was good in Mad Max and Gallipolli. Good director. Michael Doherty (RTE Guide): Better director than actor; made the most of his talent to carve out a successful career before becoming Hollywood s forgotten man. Elfrieda Carroll: Lost the plot. Alvean Jones (tv presenter): Lost the run of himself banging on about religion, as an actor he seems ok, as a director I like his attention to detail. Film fan: Went from lightweight character actor to almost heavyweight matinee star to playing Jesus. Social pariah status makes his current acting ability difficult to assess. 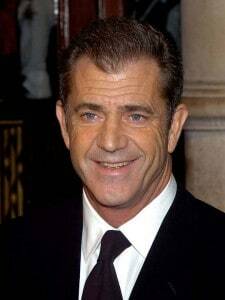 Film fan: Mel Gibson – Hunk and favourite role is “Braveheart”.